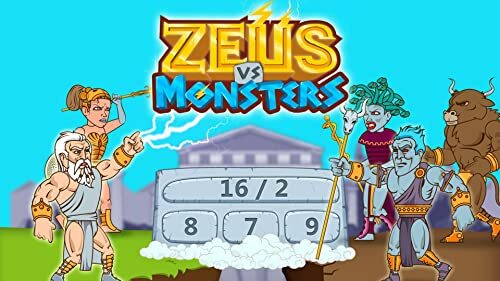 Zeus vs. Monsters is a math game for kids with mixed mathematical operations - addition, subtraction, multiplication & division. With 50 levels and 10 bosses to defeat, this is a real math adventure. Introduce yourself to great fun and Greek mythology – play Zeus vs. Monsters. With 50 levels and 10 bosses to defeat, this is a real math adventure. The game is playable by kids of all ages with lots of positive encouragement, educational facts and catchy music. 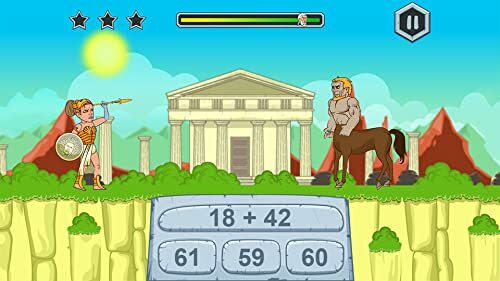 Game characters include Greek gods, Zeus and Athena, and mythical creatures/monsters such as Titans, Giants, Minotaur, Cerberus, Medusa, Typhon, Chimera, Centaur, Satyr and Hades. It's been proven that kids learn math through games a lot faster than from math worksheets. 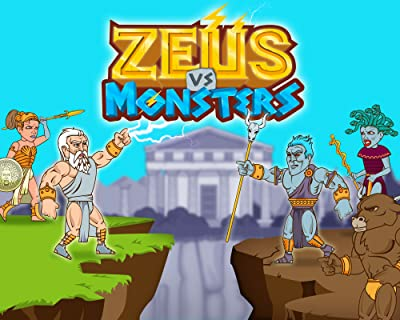 Zeus vs. Monsters provides fun with maths for kindergarten, elementary level and adults. How? Math problems go gradually from very easy to extremely hard. 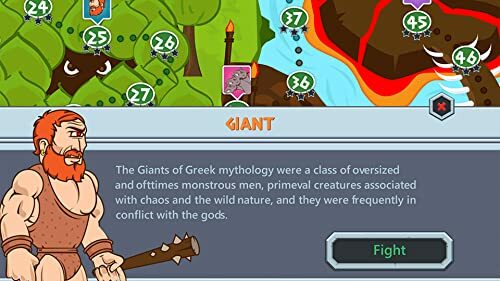 Zeus vs. Monsters allows students to practice and develop general arithmetic at their own level, while providing increasing levels of difficulty as children master arithmetic skills. 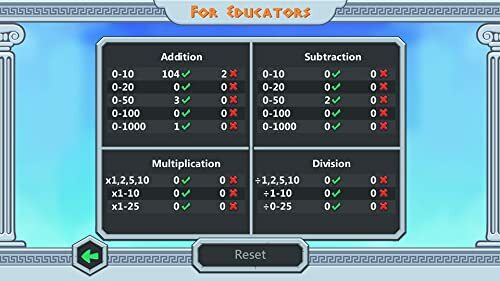 The feature “For educators” was created to offer different game settings for kids, depending on their age and level of math skills. 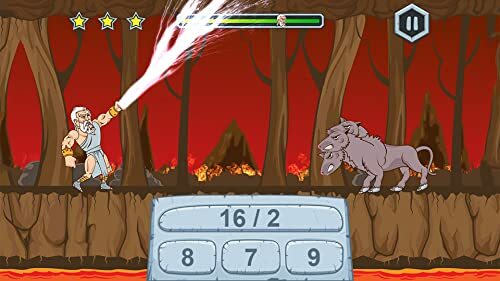 Younger kids can choose to play the game only with addition and subtraction and only with numbers ranging from 0-50 at the ”easy” or “normal” level, whereas eight and nine-graders can choose to use all math operations and numbers between 0 and 1000 at the “hard” level. This feature is called “For educators” because parents, tutors or teachers can keep track of correct and wrong answers for each math operation and number range.